Savoir-être is, quite simply, the foundation of our pedagogy. For those unfamiliar with this French term, savoir-être translates directly to « to know how to be ». For us, that means we look at the ensemble of our qualities, of our flaws, of our beliefs about ourselves and of our world-view to assess who we really are. At Living School, we begin with the principle that the whole of our savoir-être will necessarily impact all of our savoir-faire, or « know-how ». As a result, we assert that the more a child feels content and fulfilled, the more he has confidence in himself, more so will he be able develop his know-how and learn with ease and fluidity. We also believe in the precept that only a person truly fulfilled can bring about a real contribution to society and to the world. Conversely, the lack of happiness (a lack of self-confidence, insecurity, frustration…) consistently leads a person to strategies based on compensation, those which push human beings to desire more, to possess more or to dominate others, with the illusory goal of making up for this inner void. Keeping this in mind, our pedagogy is fundamentally one of being and not of having. We are resolute in our consideration and focus of the immense potential of each child and not on his/her limitations or difficulties. We have developed a curriculum on savoir-être (based on the Psychology of Evolution), which is taught as a distinct subject, with a special time devoted to it within the weekly schedule. How could we claim to teach self-confidence and to have harmonious relationships with others if our team was not also up to the task? The teaching team is recruited not only for their ability to teach, but also based on their savoir-être (a fulfilled personality, joyous and confident). Each member of the team truly loves children and is passionate about an education that education for life. The teachers are trained in the philosophy of a healthy savoir-être and complete regular personal development trainings in order to develop the best quality of being possible for the children. Each child possesses an immense potential and a unique personality. Our teachers develop a « person-to-person » relationship with each child, free of judgment. 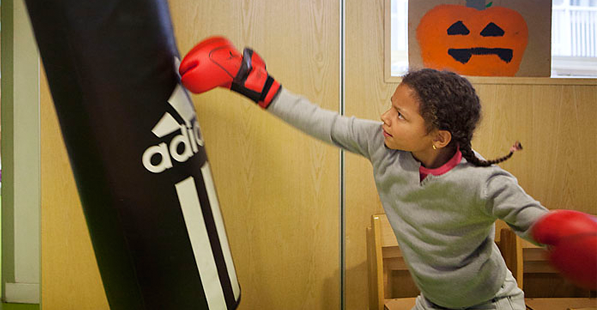 They encourage children in their growth and help them to develop their own self-confidence. There is no, « you can do better » at Living School! We are resolute in our consideration of the infinite potential of the children: in their capacity to imagine, to learn new things, to become aware, to grow, to evolve… At school, each child has his/her own « Success Book », and each week, we celebrate our successes and our accomplishments assembled together. Then, we illustrate these successes through drawings and a sentence or two in our special notebooks. This dynamic develops a strong sense of self-confidence, which is the key to a happy life. In keep with the same theme, we encourage children to develop a strong « interior sense ». This means that we ask them to develop and expand upon their feelings, which are the best gauge for the experiences they live every day. To consider their emotion and feeling means we do not concentrate on the exterior opinions of others (teachers, parents, friends, societal trends, etc.). It is this foundation that allows them to develop a well-rounded personality: they listen to themselves and to others, without constantly seeking exterior validation to exist. It is this interior force that allows children at Living School to harmonize different environments without being deeply destabilized. Holistic approach : leave behind the hypertrophy of the mind and harmoniously develop all dimensions of the human being. The intellectual dimension : Fundamental learning, interdisciplinary projects to reconsider subjects in a new way, experimenting, learning to learn…We cultivate a global intelligence, one that joins the intelligence of reason with intelligence of the heart. Managing the self and others : learning to handle one’s emotions and one’s relationships with others. Very early on, we teach children to welcome and identify their emotions. We also teach them to manage, whether by « re-centering » themselves through breathing, a bit of calm time or relaxation, or by « discharging » their strong feelings in the « anger cushion » or the « punching bag ». Very quickly, they become autonomous and it is indeed common to hear a child say during the circle time, « I am really upset, I’m going to hit the punching bag and I’ll be back! » Adults at the school, of course, apply the same rules to themselves! From the pre-school level, the children learn to say, « STOP » to violence by affirming their own personal space. Later on, we teach them to manage their conflicts by recounting what they observe (rather than voicing their judgments) by saying what they feel, by expressing their need and by making a request. We also put mediation in place through the buddy system: children who help other children to resolve their conflicts. We emphasize cooperation in the place of competition. « We succeed together » is a rule that can be found in every class. We play cooperative games (parachute, outside games). The magic of cooperation is that when I succeed, you succeed, too, while competition engenders a dichotomy of one winner and the rest who are the losers. Thus in the spirit of cooperation, the more advanced children in certain subjects can become tutors for those who are encountering difficulties. 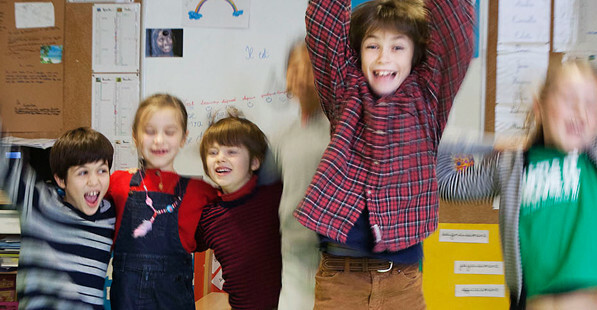 Furthermore, through what we call the « knowledge exchange market », all the children, without exception, have the possibility to share their talents and unique gifts with others. Health : develop your vitality! Eating well : for example, seasonal fruits and vegetables, preferably organic, non-refined sugars or agave syrup instead of white sugar, apples chips or dried fruits instead of candies…our cafeteria and our snacks are organic, free trade and respectful of the planet. One student’s mother regularly offers recipes to cook vegetables and fruits that are in season: link. Breathing : developing a strong central breathing habit.